10.5 mi. | 1250′ ele. gain | 5 hr. Easter Sunday. 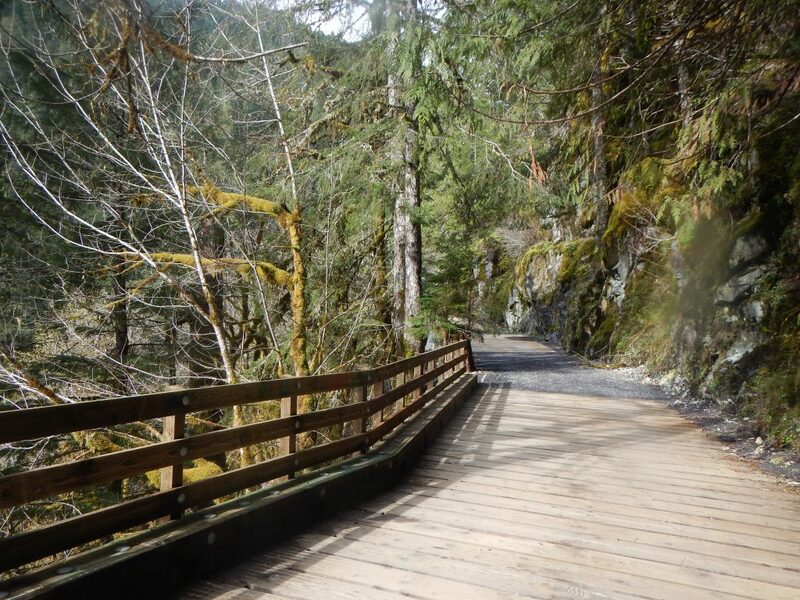 I led a group of Mazamas on the popular Opal Creek trail, hoping to avoid the crowds on this holiday. Our group of eight set off on a lovely, cool, spring morning. Once everyone was assembled and ready to go we hiked up the long, flat dirt road heading to Jawbone Flats. The sun tried really hard to burn off the clouds as we walked. 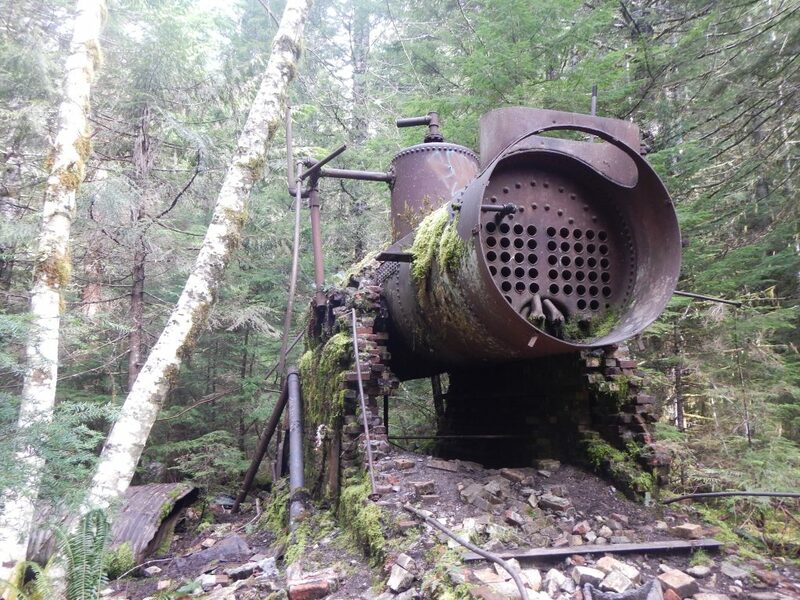 A half hour in, we came across a bunch of old machinery just rusting away in the forest. We wandered around taking pictures and inspecting all the interesting hunks of metal. 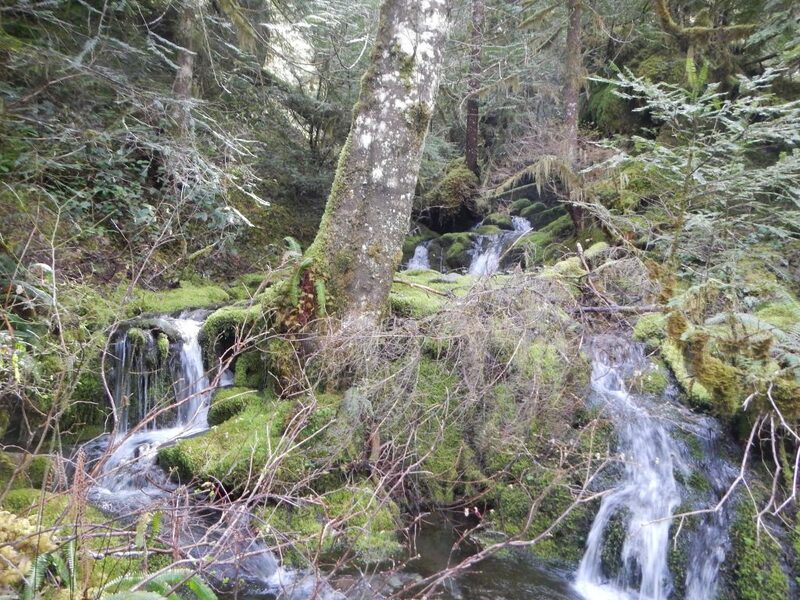 Then the trail dropped down to the creek. We saw immediately how it got its name. The water was beautiful. Each view was prettier than the one before it. Our collective jaws dropped at Opal Pool, where we hung out and looked for every possible angle to stare down into its blue-green depths. After the pool we stayed right on the Kopetski Trail, headed towards Cedar Flats. Along the way we were delighted by multiple waterfalls. Once we arrived, I had some work to do. I ran ahead and scouted an area to set up an Easter Egg hunt. It had to be done! My team then walked around in search of the hidden-in-plain-sight eggs and gathered the treasures inside. We relaxed here, eating lunch and Easter candy in the shadows of giant trees. Shards of sunlight pierced the thick canopy, making for a pretty perfect little rest spot. On the return hike we chatted and soaked in the essence of the forest. The dark shadows. The green carpets of moss. 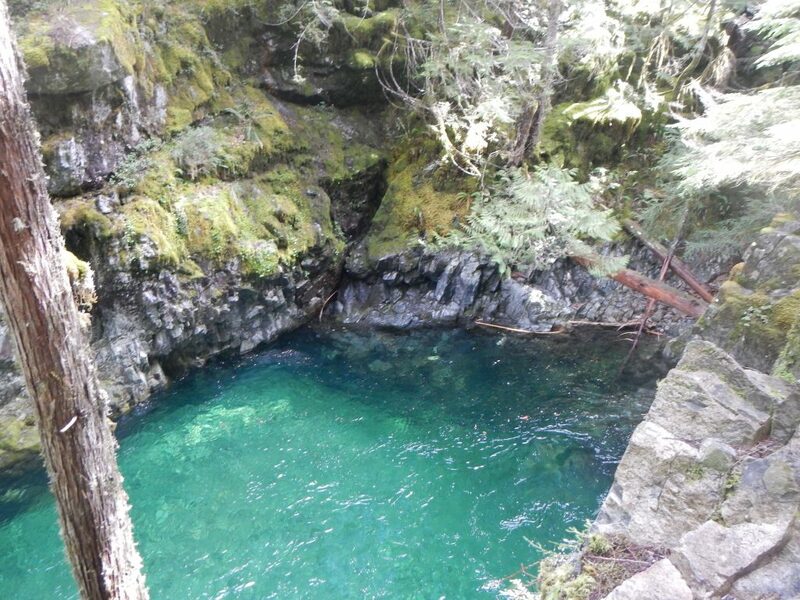 The impossibly blue creek. The colorful fungus. The spring air. Aaaahhhh. It was a successful event. 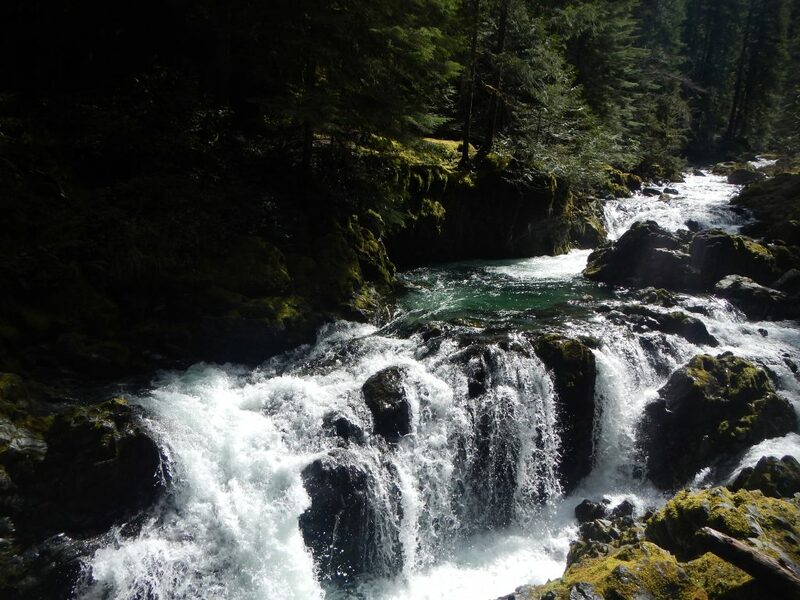 I’d avoided Opal Creek for so long, knowing its immense popularity. 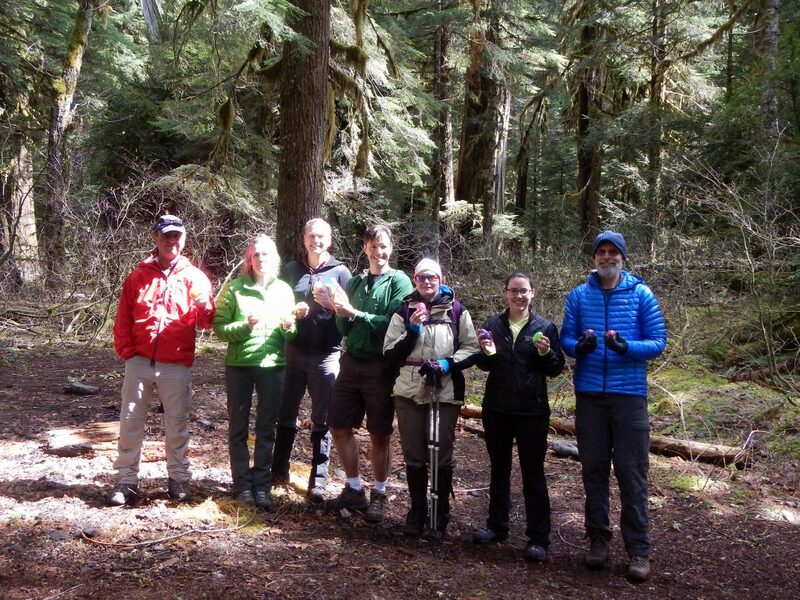 But we hit it just right today, with mostly quiet trails and a great group to enjoy them with. 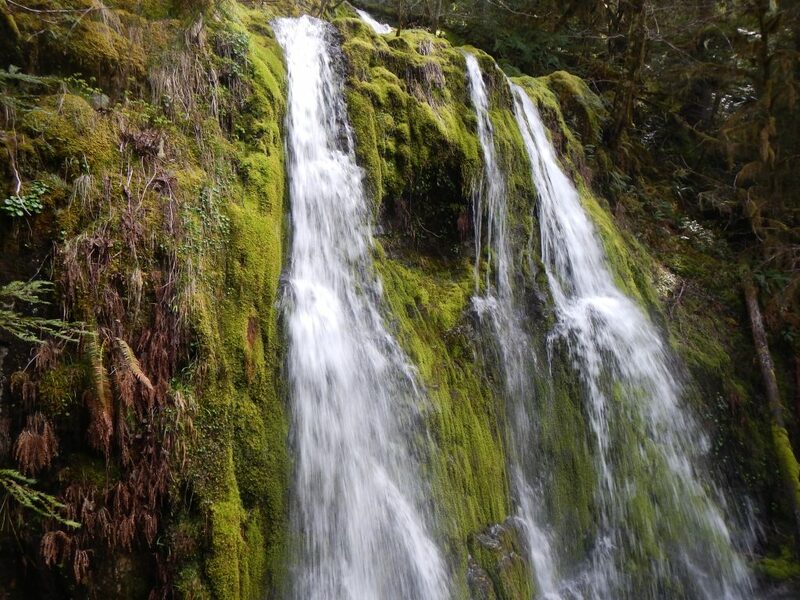 This entry was posted in Hiking, Oregon and tagged hike366 on April 6, 2015 by Jess B.